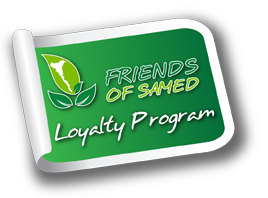 "Plastic bags and foam packaging are not allowed on Samet Island. If you are found violating this, you will be fined THB 1000.- by Royal Forest Department" 禁止携带塑料袋到沙美岛, 违反规定者罚款1000 泰铢. Situated on the Northeastern tip of Koh Samet Island, discover a charming hidden gem nestled into the hillside overlooking picturesque Pineapple Beach. This newly opened, small midscale boutique hotel provides a simple, comfortable retreat that takes you back to an earlier, more carefree time on the island. The 31 rooms are spaciously spread out amidst tranquil tropical gardens that slope gently down to a small and rocky cove with fine white sand beach. The lobby area and restaurant has a hip and trendy style, with exemplary levels of friendly, personalised service that will delight you and ensure a pleasurable stay. For those wishing to keep connected to the outside world, free Wi-Fi is available throughout the hotel and a secret beachside pathway leads to Sai Kaew Beach, the island’s most popular tourism hub. With a character all of it’s own, experience exceptional service and the irresistible charm of this blissful, rustic hideaway. You can participate in beach volleyball or soccer. You can jog by sunset or sunrise or enjoy the following water sports. sailing, windsurfing, fishing, snorkeling and scuba diving, canoeing or catamaraning. A total of 31 rooms, ranging from 24-Garden View (2 persons), 3-Seaside Cottage, 3-Triple Garden View (3 persons) and 1 Family room. Located right at the water’s edge and open 07:00 – 22:00, tickly your palate with truly authentic Thai Cuisine in a hip setting by the beach.